With its proven three cylinder, high torque diesel engine and easy to operate two-range hydrostatic transmission, these purpose built compact tractors are perfect for pulling trailers and light implements, mowing and front loader work. With its fuel efficient 4-cylinder engine and 1,385kg dry weight, the Farmall 35B takes lifestyle farming to a whole new level. 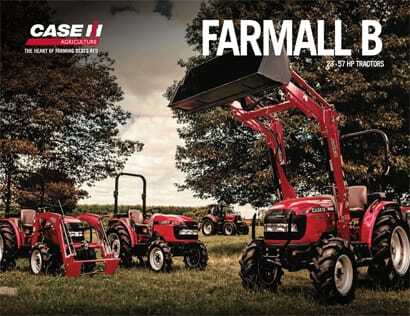 With a host of standard features normally found on larger tractors, it’s no wonder the Farmall 35B is the most popular model in the Case IH lifestyle range. 2.5L four cylinder diesel power matched with either a three range hydro or 16x16 synchro transmission means you’re always prepared for the toughest challenge. Choose from ag, turf, or industrial tyre options. 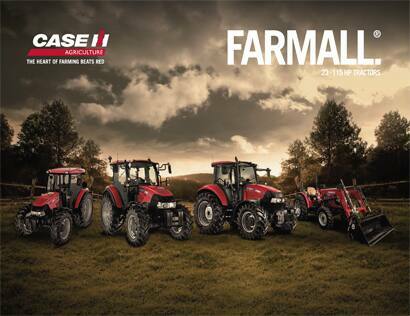 The Farmall 60B is the heavyweight of the Case IH lifestyle range. Its turbocharged engine delivers effortless power – and an array of impressive features such as two sets of hydraulic remotes and three-speed PTO are fitted as standard.